“Nothing compares to the simple pleasure of a bike ride.”- John F. Kennedy, 35th U.S. President. With this Wise Words Wednesday we reflect back on the quote made by JFK about biking. Do you get that feeling of serenity and peace when you’re on your bike ride? This photo was taken by John Brown, from HaveFunBiking.com, along the Minnesota River Bottoms, in Bloomington, MN. Also, registration is now open for our Second Annual Root River Bluff & Valley Tour in scenic Southeast Minnesota. Enjoy a 3-day trek through the beautiful country-side in Bluff Country. Register today and discover the memorable magic of the Root River Trail Towns July 7 – 9, 2017. 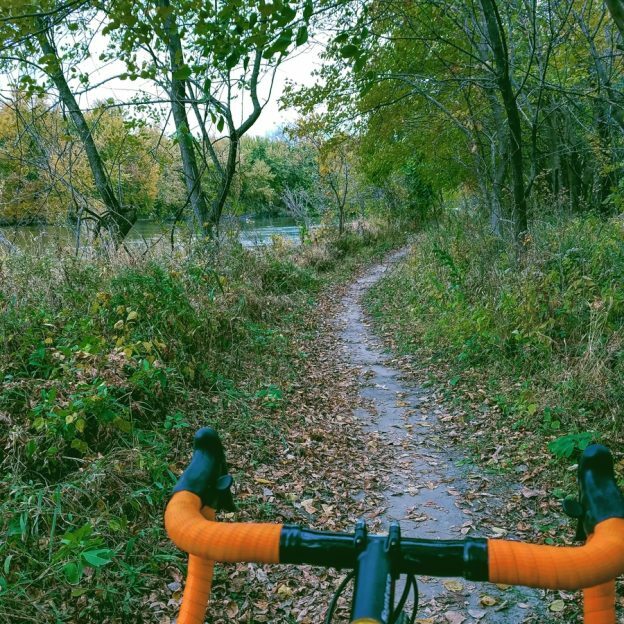 See all the places to explore and reflect on your bike in the new Minnesota Bike/Hike Guide. This entry was posted in News and tagged #bikeporn, #BloomingtonMN, #dirttrails, #instagood, #mtblife, #nextadventure, #nextbikeadventure, #onlyinMN, #ride, #trailriding, #year-roundbikingopportunities, Bloomington MN, Minnesota River Bottom, MNTrails, outdoors on December 28, 2016 by Stephanie Hunt.